44th & Goal: Grey Facemasks: Do they fit the brand? This week the Packers are set to play the Arizona Cardinals. Overall, I really like the Cardinals current uniforms. However, one thing that has bothered me about Arizona's most recent update isn't something they changed, but rather something they didn't change. More specifically, I can't figure out why, after changing the logo, the jerseys, the pants, and even the color scheme (by adding black), they didn't make the facemask red. Aside from the mask, there are no grey elements in the scheme. The logo features red and black with yellow accents, and the current uniforms added black piping into the scheme, but no grey. Although one could make the argument that the Cardinals franchise is the league's oldest and the grey mask is a sign of the team's tradition, please take this into account: The Cardinals have moved from Chicago to St.Louis to Phoenix and changed their name to the Arizona Cardinals since then. Combine that with the concept that nothing else in the scheme was too "traditional" to change, and the facemask just doesn't make sense. The Cardinals aren't the only team with grey facemasks, and they aren't the only team that has no grey elsewhere. 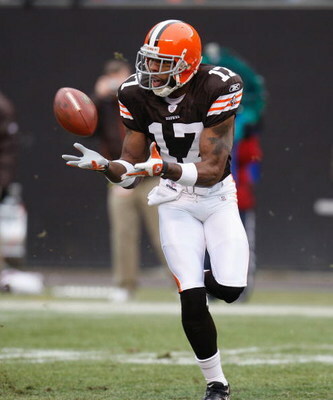 The Browns made the switch from a white mask to a grey one between the 2005 and 2006 seasons. The grey just flat out doesn't match the brown and orange when it hasn't been worked into the scheme elsewhere. 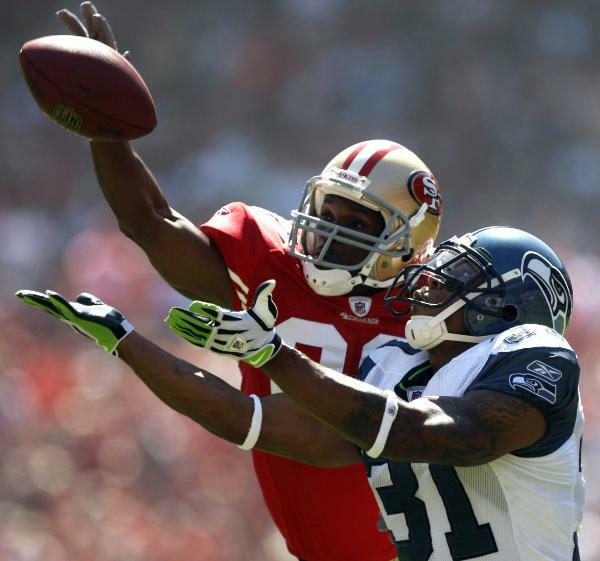 The 49ers and Colts round out the group of teams that use grey facemasks without using grey. 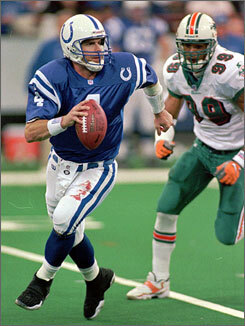 The Colts have worn both white and blue masks in the past, which I vastly prefer. I think it makes for a cleaner, more "put together" look. Another group (or pair) of teams in the grey facemask camp are the silver-domed teams with grey masks. Let's start with the Raiders. 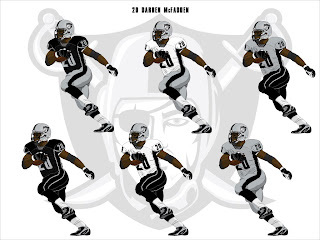 While "Silver and Black" was edgy and fresh when the Raiders first implemented it, most teams' logos and uniforms have become fiercer and sleeker. The Raiders need an update to keep up. Get rid of the grey mask (which, depending on the light, doesn't quite match the silver) and the white shoes in favor of adding black. And while they're at it, they should update the logo. 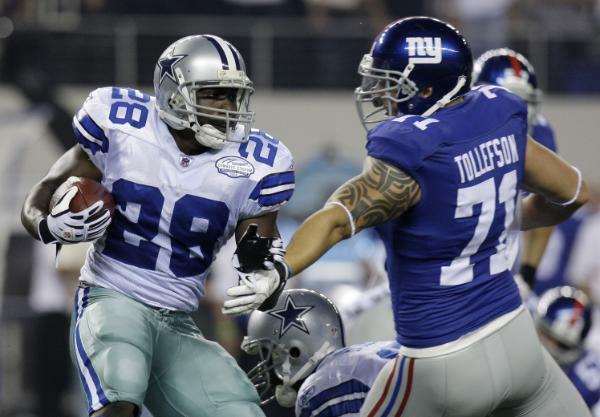 More perplexing is the Dallas Cowboys' use of a grey mask. 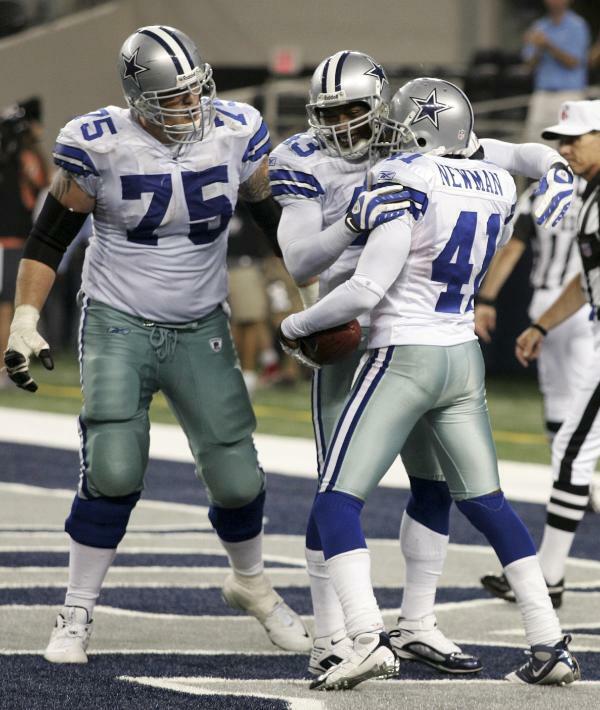 But then again, the Cowboys use seven different colors in their scheme: navy blue, royal blue, silver, a greenish-tinted silver, white, black and grey. Can Jerry Jones see the inconsistency on his giant JumboTron? Most other teams use four colors or less in a scheme. 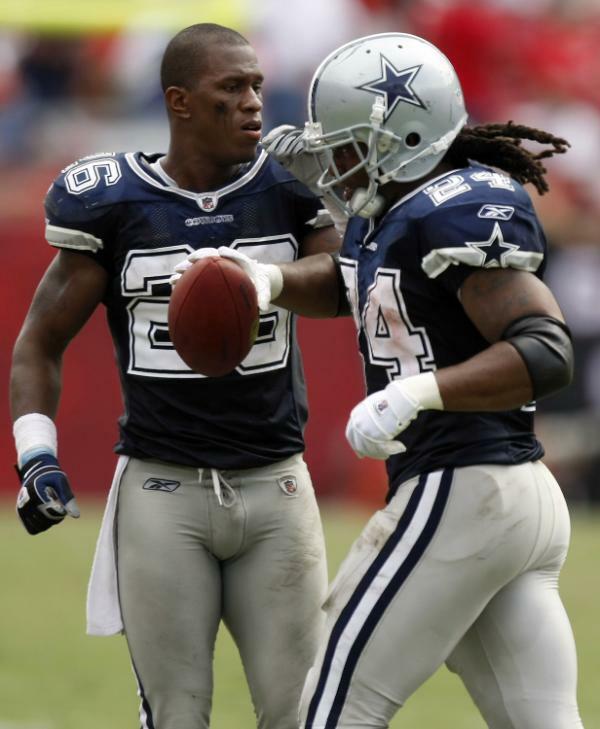 The Cowboys could have some of the best classic-style uniforms in the league if they simply decided what their colors should be and ran with it. 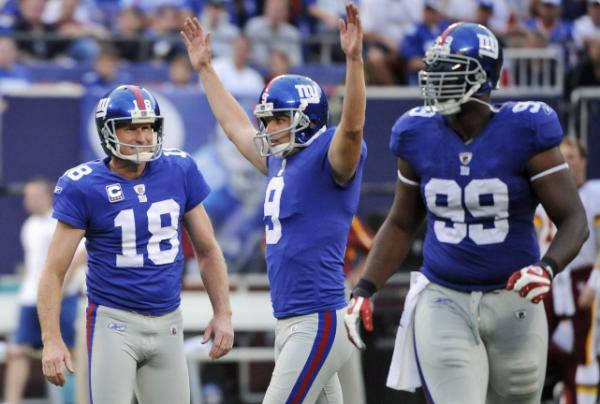 Although the previous six teams I've mentioned fail to use grey masks in a design-friendly way, there is one team that offers hope on how teams could integrate this element correctly: The New York Football Giants. 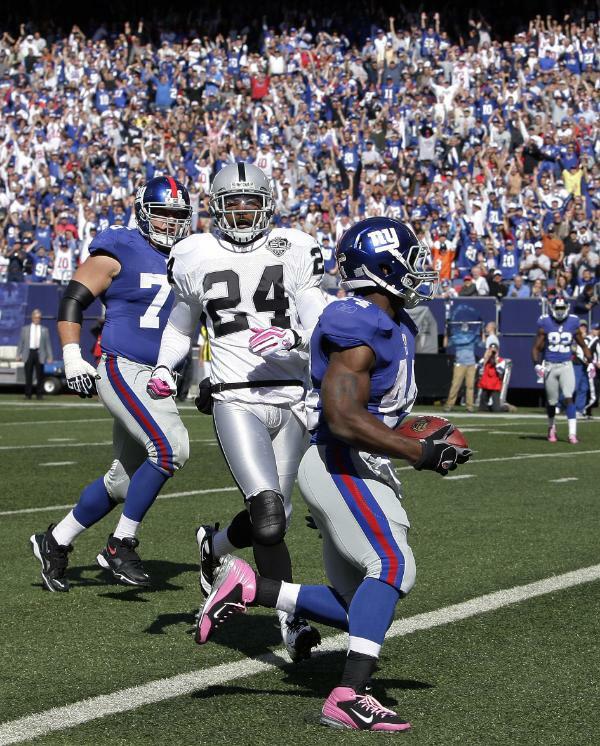 Why do the Giants look better on the field than the other grey-masked teams? Because they incorporate grey pants into the scheme as well. The result is a throwback feel that also shows a unified color palette. The result is a more intimidating look for the Raiders as they move to the future. 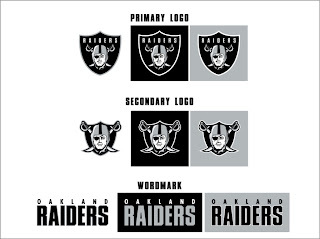 Feel free to comment on grey facemasks, the Raiders, or anything about Sports Design. Thanks for reading! This is awesome! I like the design you made. Do you think you could do an updated version for the Colts? 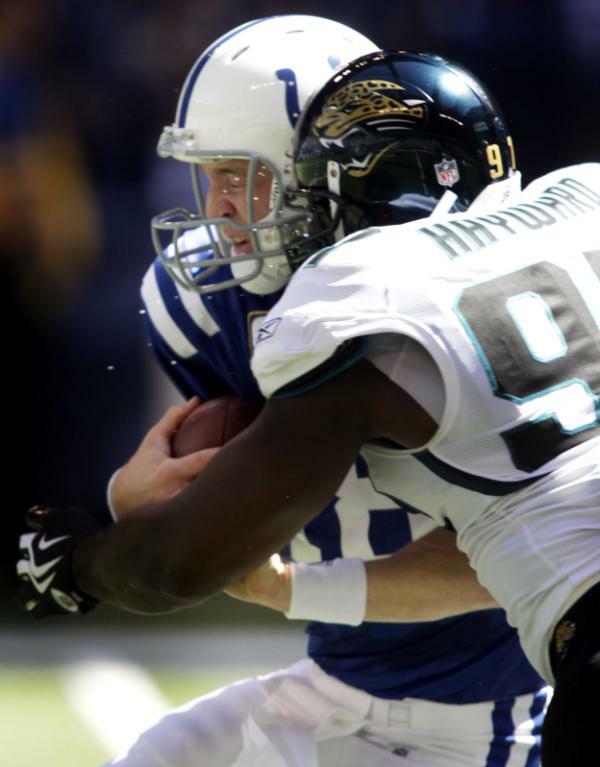 I agree with you on the facemask and I hate that its grey and there is no grey in our color scheme. I feel like its cheap and we can't afford to get painted facemasks lol! 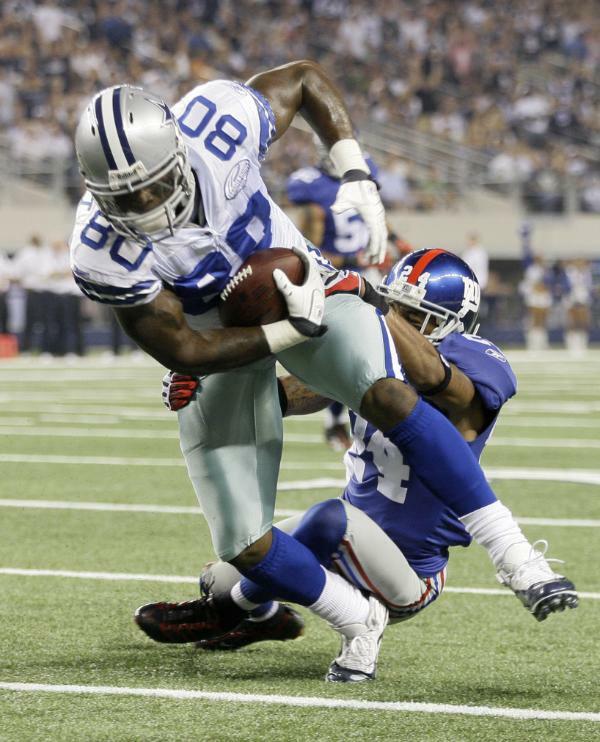 Your right, I don't get why teams get rid of grey facemask.